Enter the world of Star Wars and launch into action and adventure! 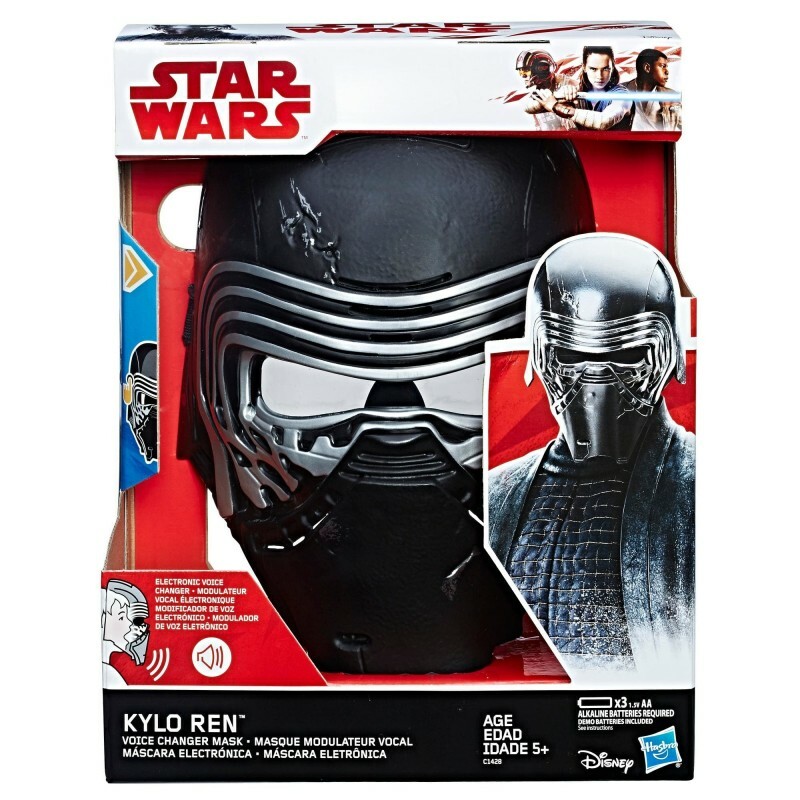 Discover a galaxy of starships and vehicles, and get immersed in exciting stories of good versus evil against a backdrop of a universe populated by heroes, villains, droids, and space creatures with the Star Wars: The Last Jedi Kylo Ren Electronic Voice Changer Mask! 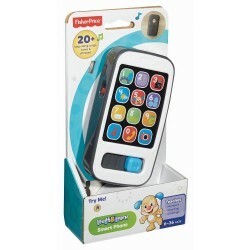 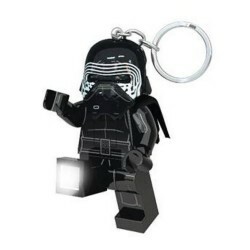 With just a push of the button, kids can disguise their voices and imagine commanding the First Order like the dark warrior, Kylo Ren! 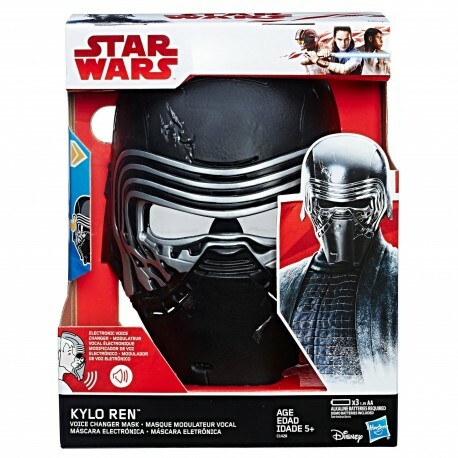 Imagine charging into action with the Kylo Ren Electronic Voice Changer Mask, featuring movie-inspired design and adjustable straps to fit most head sizes.